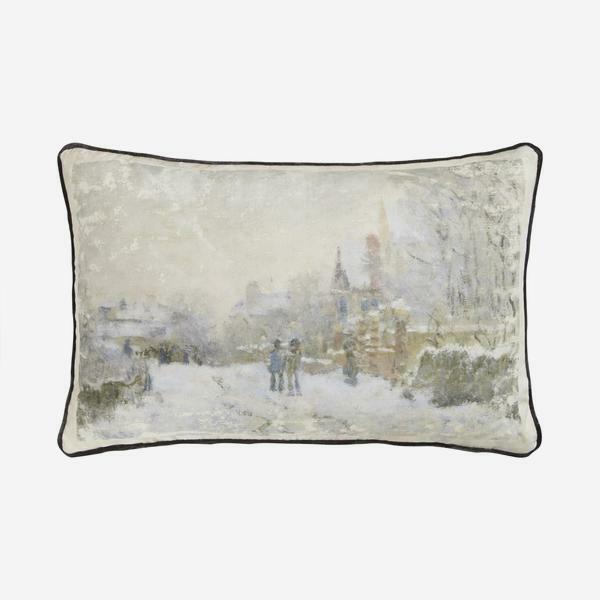 This cushion features Claude Monet's 'Snow Scene at Argenteuil'. 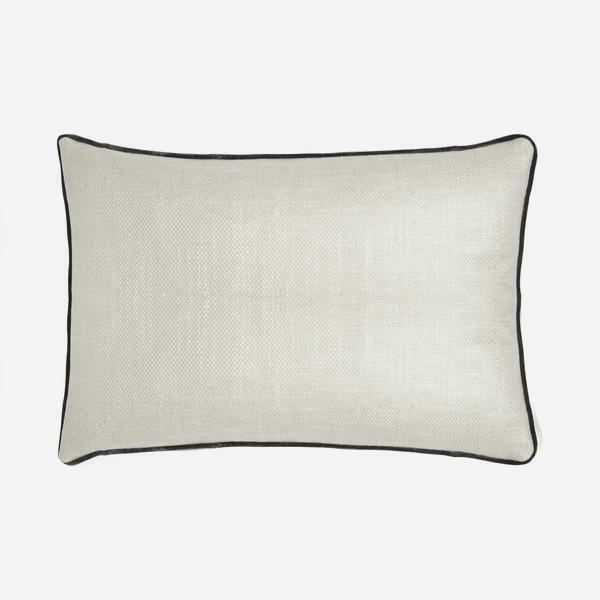 The picture is digitally translated onto cotton, backed with a linen weave and finished off with charcoal velvet piping. 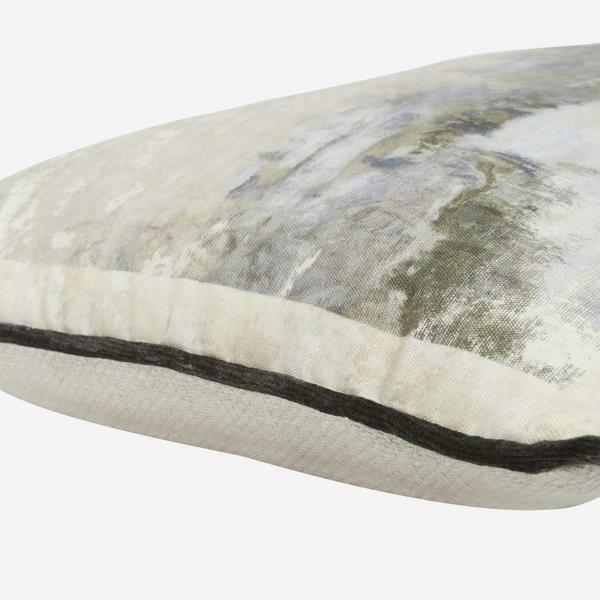 We have a unique licence with the National Gallery in London to enable us to reproduce some of the most famous paintings in the world on our cushions. Cushion pad included. The exceptionally snowy winter of 1874-5 inspired Monet to paint 18 views of Argenteuil under the snow. The absence of white may seem unusual for a depiction of a snowy scene but the myriad of blue hues and even pinks and oranges create, you could say, a more realistic portrayal. In any case, the blurring of all these colours instils a striking sensation on the viewer, which is truer to our overall experience of a place.